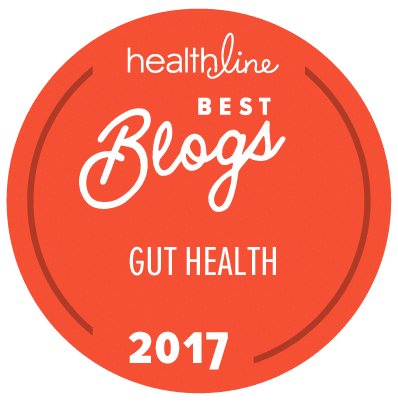 Jini wrote a blog post about a Crohn’s clinical trial back in late December 2014 and the same company, Qu Biologics, has now opened a clinical trial for Ulcerative Colitis. The treatment involves stimulating the innate immune system to wake up, and clean up ALL pathogens in the body (kill all the bad bugs). The mechanism used to achieve this is by injecting components of dead E. coli bacteria into the skin (dendritic cells). The preliminary trial showed a promising remission rate so they moved into a full clinical trial for people with Crohn’s late last year. This new trial for UC is Phase 2. “Qu Biologics’ clinical trial in ulcerative colitis has been initiated at the GI Research Institute in Vancouver, the first of at least four clinical trial sites in Canada. In the coming weeks, three additional sites will open in Edmonton, Calgary and Hamilton. All participants in the study will receive QBECO SSI treatment. ← Pendants, Q-Links and Other Radiation Shielding Devices – Do They Work? I looked into this trial when the crohns portion was open but didn’t qualify due to being on humira at the time. I was wondering if you had seen this new MAP vaccine that is in trials soon? This is Jini’s response concerning the MAP vaccine from over a year ago, “Well, the good thing about this T-cell vaccine project is that the docs are making a pretty strong statement against Crohn’s being an auto-immune disease where the body attacks itself for some unknown reason. So that is definitely a step forward. Thanks for the response. We don’t do vaccines but I didn’t really consider this treatment a true “vaccine” since it can be given after infection if proven to work. And the site says they have a simple blood test for MAP now. Also can you point me to Jinis’ article on MAP from before. I searched but can’t seem to find it. Which is what I posted in the other comment. Sorry we do not have any more information concerning it at this time. Please let us know if any other questions. Is it too late to participate in the Calgary trial for ulceritis colitis? It’s best if you contact Qu directly, as they may have a new trial. They are very friendly!